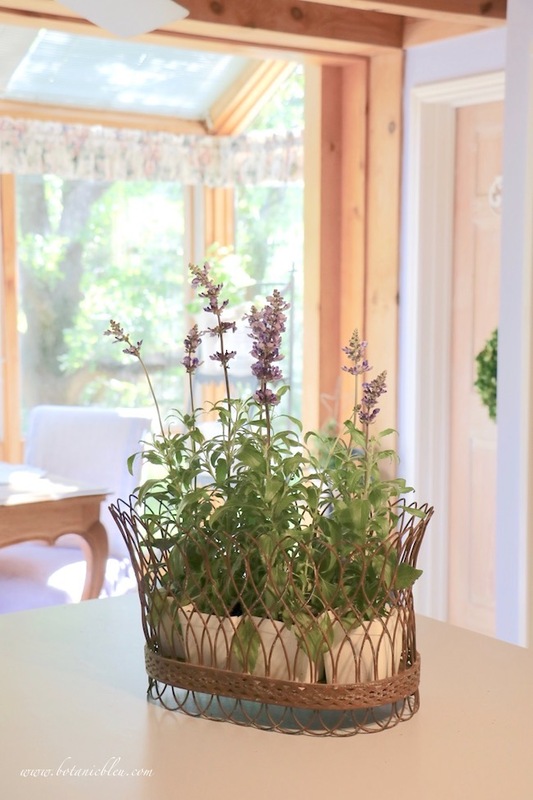 An inexpensive fresh flower arrangement can always be made from 4-inch starter plants from the local nursery. Need a quick, easy arrangement as a table centerpiece for a party, birthday, or luncheon that you and your guests will absolutely love? Dash to the closest garden center and scoop up six 4-inch blooming starter plants. 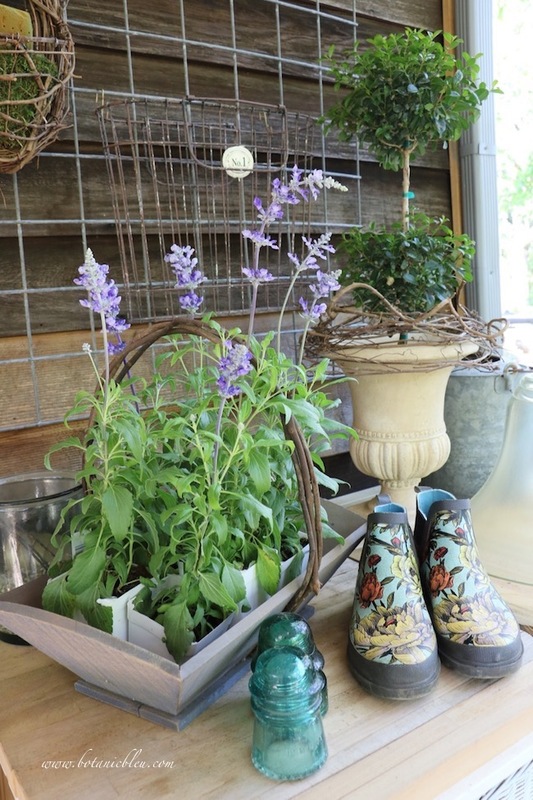 You do not have to go to an upscale nursery store. Home Depot, Lowe's, Walmart, ... all have plant departments filled with several flowering options each Spring that will be perfect for your quick-and-easy home flower arrangement. Don't forget to throw a package of sheet moss into your cart as you sprint to the check-out counter. 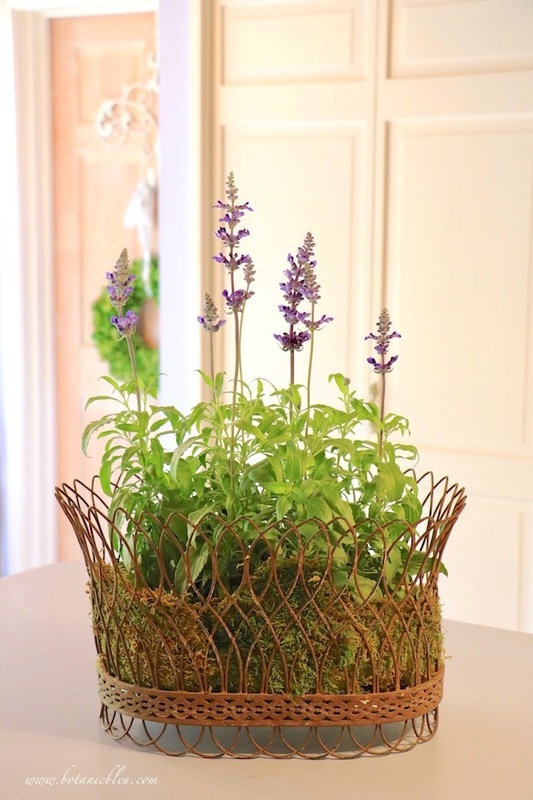 Back home, insert your six little plants into a basket ... a beautiful French wire basket. You can use any basket you have on hand, but a French wire basket is the one I love to use. The beauty of this flower arrangement is it can be made several days in advance without worrying the flowers will fade before the party. Cut flowers are dying from the moment first cut, but starter plants are living and growing. You can keep them outside on your potting bench until the day of the party. Instead of fading, they will continue to grow and to sprout more blooms. You will need to water them to keep them from wilting and dying, but that is super easy also. Just place the pots (removed from the basket) into your kitchen sink, sprinkle using your sink's sprayer hose, allow to drain, and return to the basket. As beautiful as the flowers and basket are, those white plastic pots are not beautiful. This is why you picked up a package of sheet moss as you sprinted toward the check-out counter. 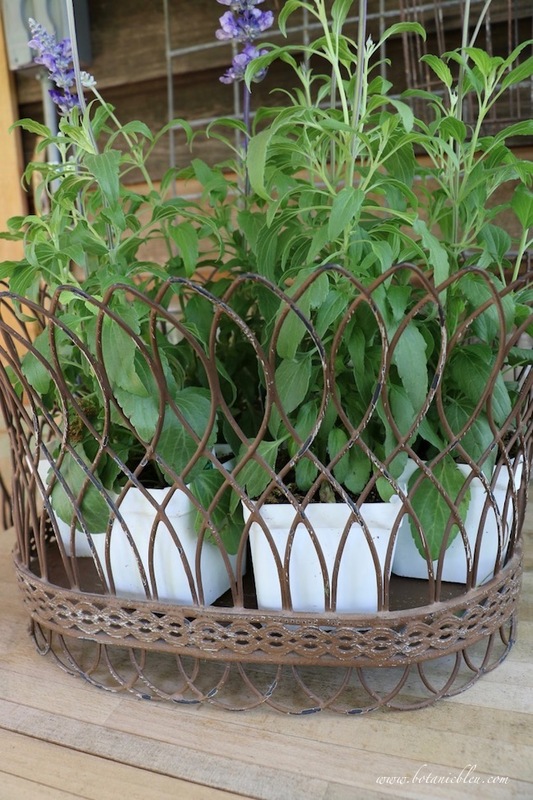 While the potted plants are in the basket, slide sheets of the moss between the pots and the sides of the wire basket. Work your way around the basket. If the moss stands up too high on the side of the basket, fold it over onto the plastic pots. 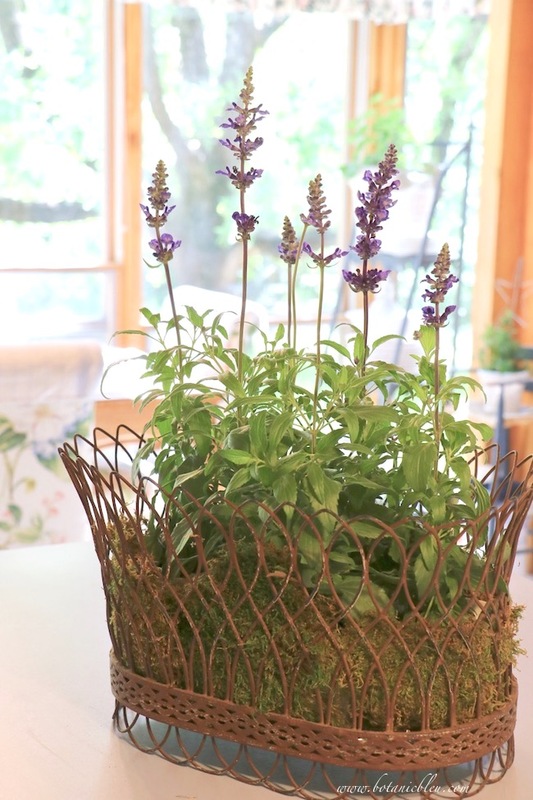 Moss is the unsung hero of French wire baskets and other flower arrangements. Moss adds the finishing touch that takes your flower arrangement from nice to stunning. Once the party has come and gone, move the starter plants back outside to revitalize them before planting in your flower bed. Starter plant arrangements are easy, beautiful centerpieces for parties or for enjoying yourself every day. No party needed to enjoy beautiful flowers. For only a few dollars, you have a fresh flower arrangement guaranteed to outlast cut flower arrangements. An added bonus is getting to enjoy the transplanted growing flowers for many months in your garden. Then the final beauty of starter plants? Getting to cut flowers from the plants to bring inside as the plants grow larger all summer in your garden. Cutting the blooms encourages the plants to bloom even more! The flowers are annual blue sage and bloom all summer until frost. And the unsung hero, moss? Save the sheet moss to use another day in another flower arrangement when it will once again be the hero of the arrangement. It can be used over and over again and will last for many months. 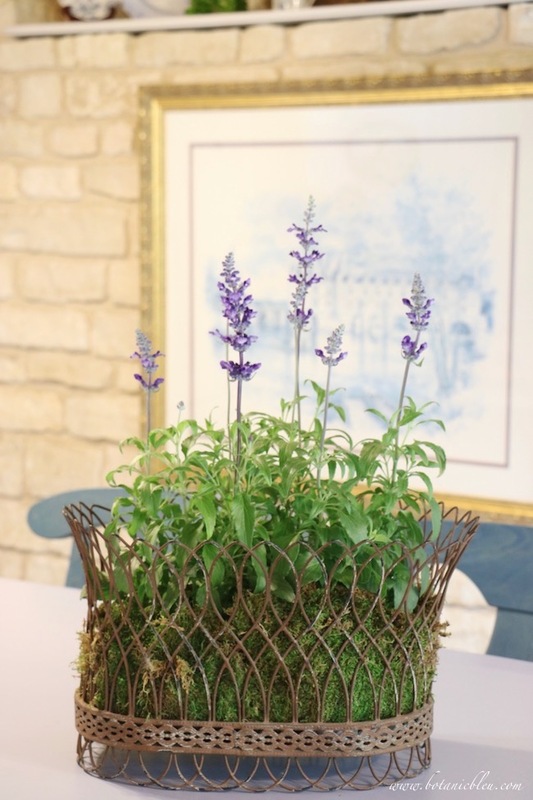 If you love the French wire basket as much as I do, you can find it in my Botanic Bleu shop. I love it. I need to find a wire basket and get me some moss. Thank you for sharing. I loved it so much I just purchased the large size from you and can't wait to receive it! What a charming wire basket this one is ! Love them. This is such a beautiful idea! I actually have the same basket and have had the hardest time deciding what to do with it. I can picture this on my kitchen table now. Thanks! 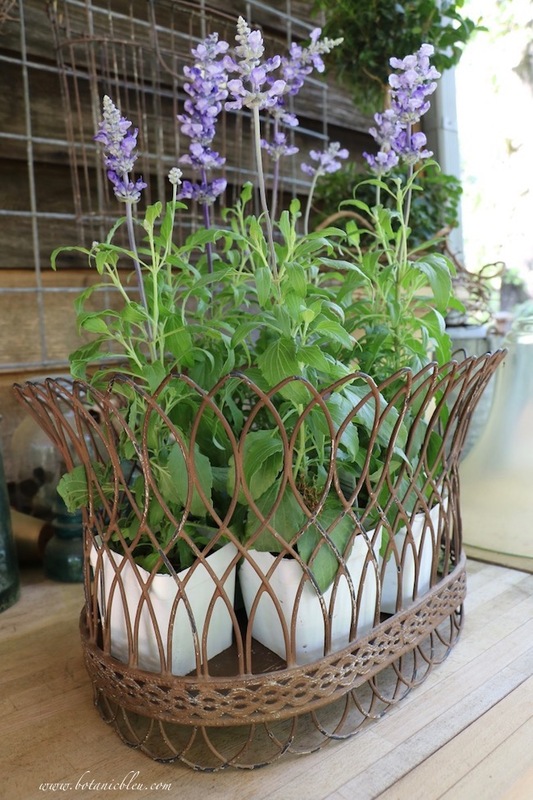 what a lovely wire basket and pretty flower arrangement. You remind me it's time to dig out the wire baskets and the moss. It looks lovely! That basket is a darling. I love the moss and flowers. So pretty. Thanks for sharing at Keep In Touch. 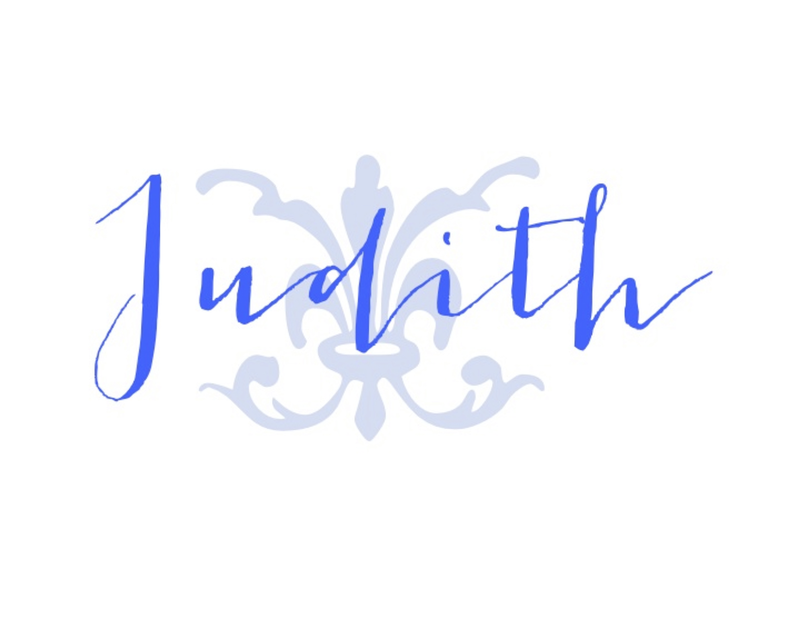 Simply gorgeous Judith! 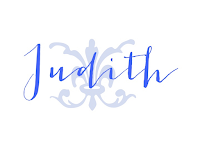 I am featuring you today at TFT! I hope you will come over and link up another beautiful post this week too!